You are at:Home»Herbs»Taxus baccata Linn. Latin name : Taxus baccata Linn. Description :Zarnab is used as anti-arthritic & anti-diabetic agent. It reduces inflammation and rejuvenates the body. It is also an anti â€“helminthic, antipyretic, blood purifier and anti-inflammatory. 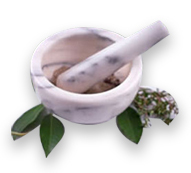 It is very helpful in building up natural protection against various diseases. It is often used to fight against general debility & dyspepsia due to hyperglycemia. This herbal medication is stomachic and diuretic in nature which effectively stimulates the secretion of bile juices, relieves thirst, burning sensation, vomiting tendencies and jaundice. Externally, used in the treatment of rheumatism. Contraindication : This herb is not recommended during pregnancy and lactation. Large doses (many times the recommended disage) may result in colic, dry mouth, hypotention, paleness, rash, syncopem vertigo and vomiting.